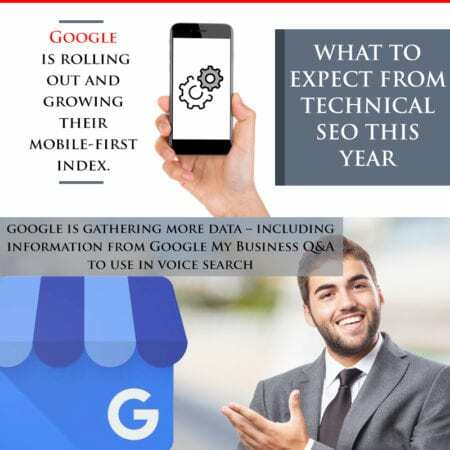 Today, technical SEO is growing in popularity again. This is something that started in 2016 then exploded in 2017. Going into 2018 people are still quite passionate about this SEO service. Specializing in this way is important today because it’s not possible to stay competitive otherwise. There are several ways in which you can accomplish this here. Businesses are creating more data and customers are accessing more of it today. Processing this information about customers, websites, and how people are using the Internet today requires time and patience. Using this information is very exciting because you don’t have to guess where people came from or how they arrived at your website. Instead, you can now trace their entire journey from the point they find your site, throughout your site, and even when they visit your competition. This is because many SEO services have created tools for this clickstream data. Google is also getting in on this. They’re gathering more data – including information from Google My Business Q&A to use in voice search. Eventually, they’ll understand websites so well they won’t even need this structured data any longer. Just look at how their Knowledge Graph information and rich results have already grown. Some users hate how these SEO services are scraping their data. However, watching as new SEO develops the sharing of facts, opinions, and POVs is fascinating. Now you can have a topic summarized for you right away without reading through various websites and dealing with all their ads in your face. Google is rolling out and growing their mobile-first index. This will shift thinking and tools from desktop to mobile. You can already see this in how they talk about “taps,” not “clicks.” However, this will create havoc as websites struggle. The one good thing here is that content that’s been hidden for UX reasons now has full weight so website designers have a lot more options for content design and layout. Speed will become more important as fast websites are listed higher in the SERPs. Security is important now that there have been some huge data breaches. They’re now pushing HTTPS, marking pages without it as “not secure” for Chrome users. Eventually they plan on making this even more noticeable, with a red warning label. The European Union (EU) has created the General Data Protection Regulation (GDPR) which pushes for even more security and privacy in this regard. Although there are a lot of tools that offer developers more understanding, Google also has a lot of data. They want to make sure to serve you the best page regardless of who optimized it. They’re tired of continually seeing the same SEO issues and want to see them fixed. In the past, they’ve used various types of limits and 301/302 redirects. Today they’re giving developers more information and tools including Index Coverage and AMP Status reports as part of their Google Search Console, which is now in beta. This demonstrates that they don’t only know such problems exist, but they’re working to correct them. There’s a bright future ahead of technical SEO. This is something that Affordable SEO FL truly understands. With over 20+ years of experience working with the Search Engines, this is an SEO service you can trust in and rely on to help your business stay competitive in today’s world. Next PostNext Does SEO Rankings Still Matter?